Singapore Renovations: Is It Compulsory To Do Spring Cleaning After Renovation? While renovating your home can be quite exciting, it is the cleaning up that follows soon after that most home owners do not look forward to. Renovations leave the house dusty with bits and pieces of the materials used while renovating. To enjoy your home, you therefore have to think about making the home environment conducive and this is where spring cleaning comes in to save the day. Below are some of the reasons why spring cleaning right after renovations are done is important not just for the sake of your property but also for your safety, health and general wellbeing. compromising the quality of the said surfaces. It is also common to find wood shavings, metal sheets, electric cables, open paint cans and other materials lying on the floor. Leaving these materials on the floor is not only dangerous but may also come with more work for example in the event that some paint spills on the floor you will have to clean that up in addition to cleaning all other surfaces. With spring cleaning, you will get a chance to remove all these materials from the floors and other surfaces and clean all the floors to ensure that the whole area is left sparkling and free of materials and substances that could prove to be dangerous and either discard them or store up those materials that can be useful in future projects. Just like in the case of walls, the floors have also to be cleaned using the right equipment. After picking large materials by hand, a vacuum cleaner will come in handy to remove all dust and dust on the surface. Mopping the floors with some soapy water and a rag may also be important depending on the type of the floor. If possible, the floor should also be disinfected to ensure that no germs are left. If there are any carpets, they should also be vacuumed to remove all dirt and dust and ensure that the carpet remains in top condition. Try to imagine what would happen if you only cleaned the floors and left the walls and other surfaces dusty and untidy. The truth is the renovated area will still look unfinished not to mention the fact the dust on the walls and other surfaces will still fall on the floors forcing you to clean the floors once again. You may also not be in a position to cover all the floor area at a go and may be forced to clean one area more than once especially if there is movement from the un-cleaned area to the cleaned area. With spring cleaning, all areas are cleaned systematically such that the whole area is left clean. After a huge renovation project, the amount of work that requires to be done to leave the place clean and tidy is a lot and may even take days if the manpower is not adequate. In such cases, hiring a cleaning company to do the cleaning is a wise move as you will get professionals to clean all your surfaces in just a fraction of the time you would have taken if you had decided to do the spring cleaning on the renovated area all by yourself. Even with small projects, you can still use the professionals to deep clean the renovated area and other areas and take a breather after completing the renovation project. This will save you a lot of time and ensure that all your surfaces are professionally cleaned. With renovation, especially where different areas are involved, it is possible that a contractor may overlook some areas or leave some renovations incomplete. When this happens, it is important to contact the contractor as soon as possible so that all renovations are completed to your satisfaction. The truth however is that such areas may not be easy to see especially with layers of dirt and debris on the surface. Spring cleaning makes it easier to see such areas and take appropriate time in the shortest duration possible. This will safeguard you from losses that may come from unfinished projects and ensure that you get the value for the resources spent while renovating. From the above points, it is clear that spring cleaning after renovation is important if you are to enjoy the new look and be comfortable in the renovated space. 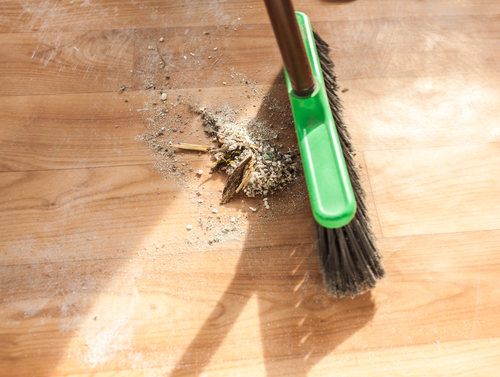 Spring cleaning will ensure that all surfaces are left free of dirt and dust that may be detrimental to your health and also get rid of materials that may lead to accidental falls and injuries. If you have adequate manpower and the skills and equipment to clean different surfaces, then you can go ahead and spring clean your home. Just ensure that all cleaning is done a few days after the renovations are completed. The cleaning should also be systematic starting from the ceiling, light fixtures to the walls and windows and finally to the floors. If however you feel that spring cleaning is a lot of work, you can hire professionals to do the spring cleaning for you. This will take a lot off your plate and ensure that you enjoy quality services and get the renovated area and all surfaces adequately cleaned in no time at all.